Screaming out loud? Princess Beatrice accidentally slashed Ed Sheeran’s face with a ceremonial sword earlier this month, a source tells Us Weekly. The incident went down during a party at the Royal Lodge in Windsor, England. 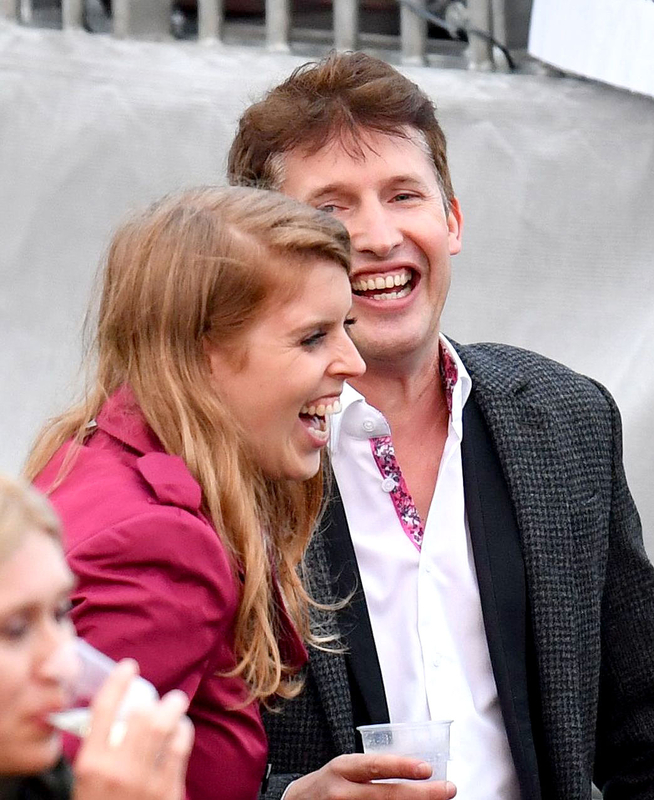 Princess Beatrice, 28, was jokingly pretending to knight singer James Blunt, but she instead cut Sheeran, 25, on his cheek. "She was mortified! She genuinely thought she had disfigured his face," the source tells Us. "She was gasping and screaming and there was blood all down by his face." The "Photograph" singer, however, was "calm" about the situation. "He was like, &apos;It&apos;s fine, don&apos;t worry. Don&apos;t worry!&apos; And he was kind of chuckling as he went off to get it seen to," the source adds. "No one could believe it when he came back!" The insider says that Princess Beatrice, Prince William and Prince Harry&apos;s cousin, misjudged the weight of the sword and it swung to the side when she tried to lift it. Fellow singer-songwriter Andy Patterson showed off Sheeran&apos;s battle wound in a photo, which he posted on November 19. "Tonight I met the only person in the world who loves [singer] Foy Vance more than me," Patterson captioned the selfie via Twitter. "@edsheeran I&apos;ll let you claim this one!"